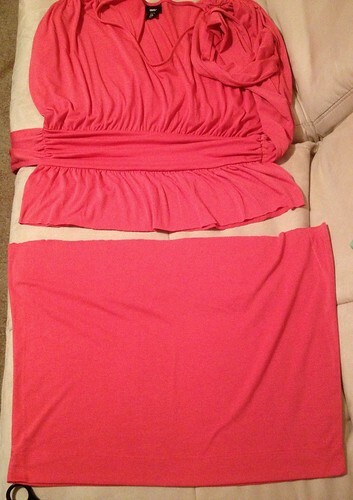 My first step was to flip the skirt upside-down. 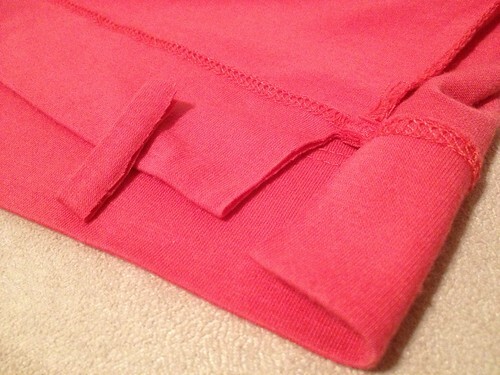 I'm going to use the bottom hem as a pocket for an elastic top. 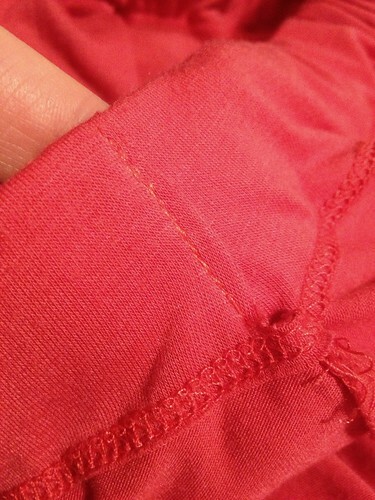 I snipped out the side seams to open up that pocket. 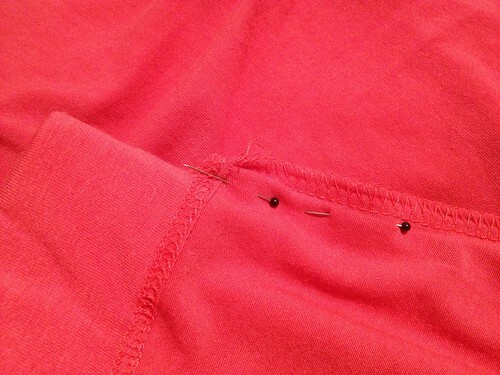 Then I grabbed some scraps of wide elastic and fed them through. 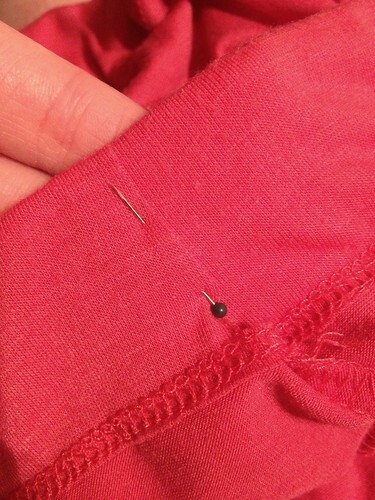 Then I attached the elastic ends to one another. 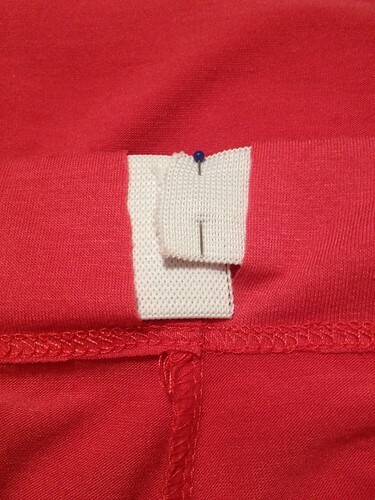 Yes, I used two pieces of elastic of different widths. This project was all about making do with what I had on hand. 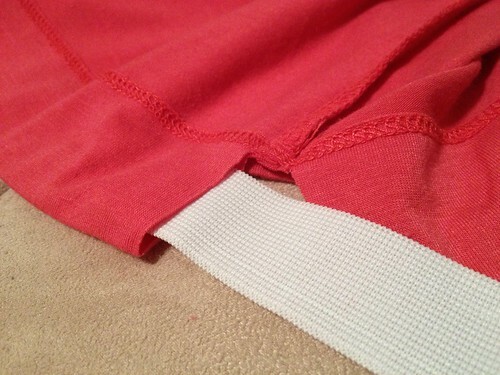 I overlapped the fabric and resewed the side seams, securing the elastic within so it doesn't get twisted in the wash or anything. And ta-da! 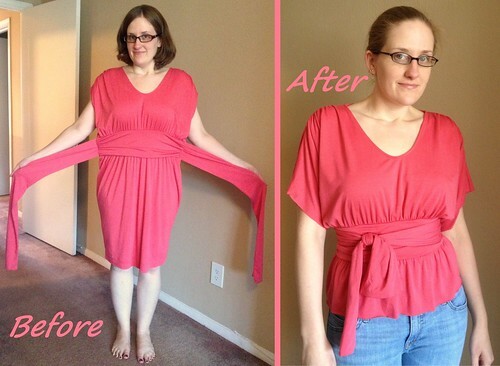 Two tops from one unloved dress! Awesome! Loved the basic look.